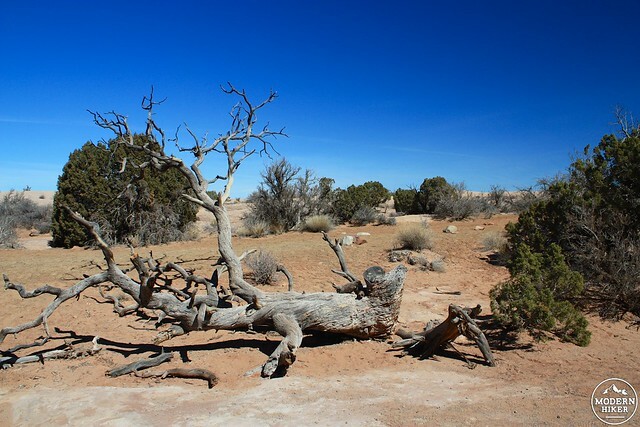 , who lived near the formation when he was a Ranger at the then very undeveloped Arches National Monument from 1956-7. The trail itself is short and sweet – a nice stop on your way to lengthier trails further inside the park. It begins on a slate sidewalk that quickly becomes a nicely manicured dirt path, complete with some lovely “desert driftwood” along the way. 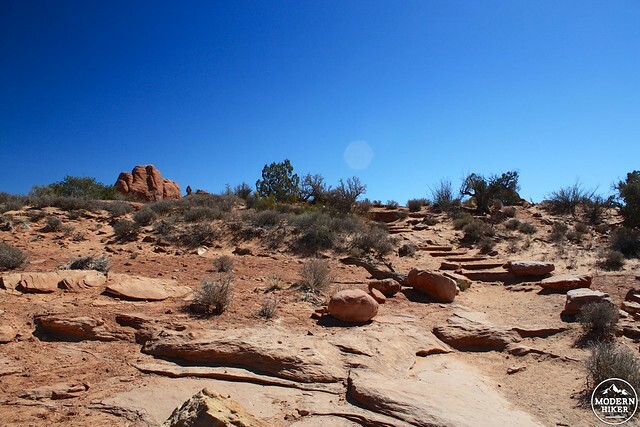 The rock formation is almost always in view on this trail, and after a short distance you’ll be able to get fairly close to the formation itself. For scale, the boulder on the top is the size of three school busses. 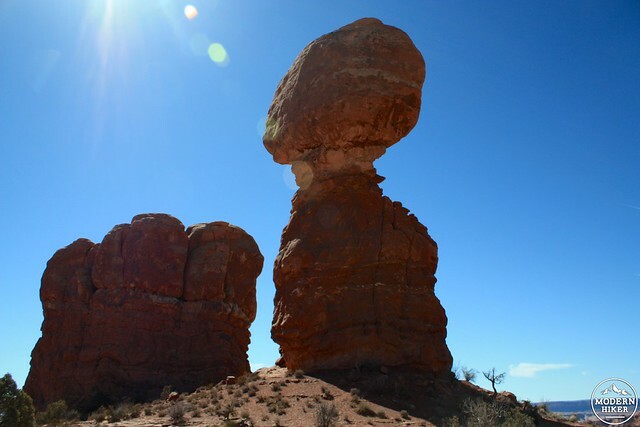 From the base of Balanced Rock, you’ll also have some killer views east past the Garden of Eden and Windows Sections to the distant, snowy La Sal Mountains. It’s all quite a sight to take in. , which he started writing the two seasons he worked and lived near this spot. If you’re interested, here’s an unaired video essay by Abbey produced a few years before his death in 1989. In the piece, he reflects on the changes Arches had gone through since he lived there. Good food for thought as you drive down that paved road to your next hike. Excellent. This is a short, well-maintained, and well-traveled nature path. 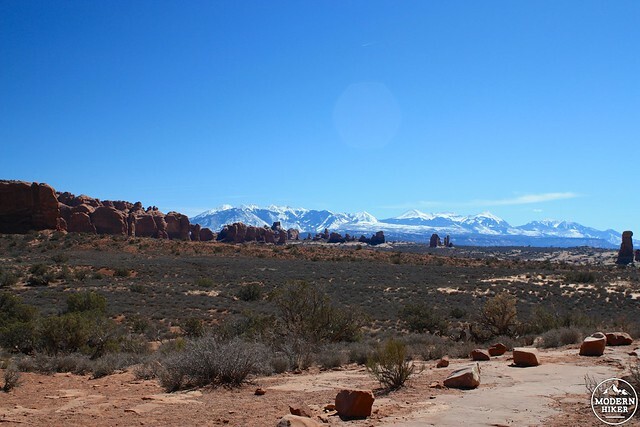 From Moab, head north on US-191 for about 4.6 miles and enter Arches National Park. 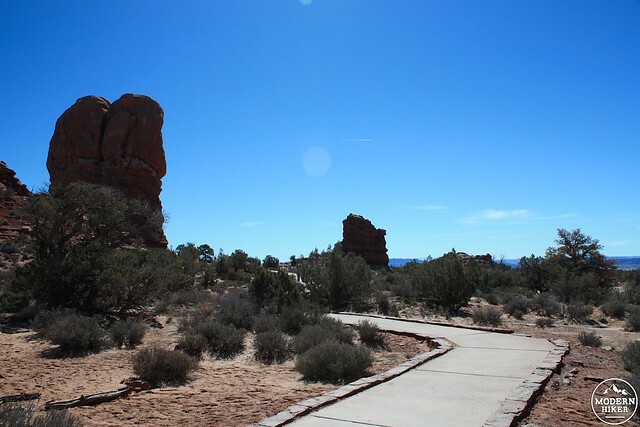 Continue on Arches Scenic Drive for 9.7 miles and Balanced Rock will be visible from the road. Entrance fee required.